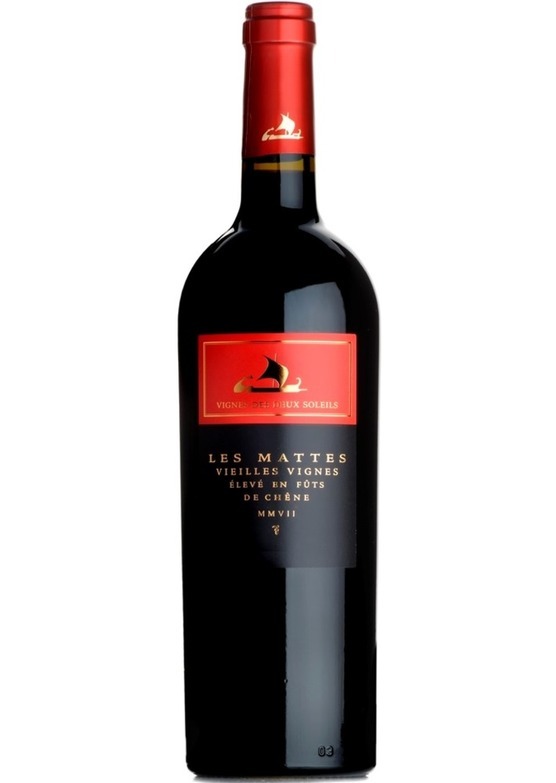 2014 was a stunning vintage in the Languedoc and once again Les Vignes des Deux Soleils have produced a serious wine in the Les Mattes, which will continue to develop for many years to come. The 2014 is a deep ruby in colour, with aromas of clove, spice and rich plum in abundance, an hour in the decanter is well rewarded, and further complexity is inevitable as the wine matures over the next 8-10 years. The palate offers intense, bold flavours of blackberry, dark-current and spice with firm, mouth-filling tannins tempered by extended ageing in fine French oak barrel. This is a well-made wine indeed, polished, without harsh edges, a wonderfully rounded mouth-feel and impressive persistent finish.